If you're looking for a place to spend an idyllic Mexican vacation, then you'll fall in love with Raintree Villa Vera Puerto Vallarta. Found in the upscale Marina Vallarta district, this gorgeous resort has everything necessary to provide a relaxing getaway. People who buy Raintree Puerto Vallarta timeshare options enjoy comfortable accommodations and spectacular amenities in the midst of one of Mexico's premier vacation destinations. 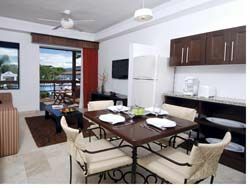 One of the main reasons for choosing Raintree’s Villa Vera Puerto Vallarta resort is the deluxe accommodations. Studio, one-bedroom and two-bedroom units that sleep up to six are all available. Most units have one bathroom, but the two-bedroom condominiums have two bathrooms for the comfort and convenience of guests. Some of the larger units even have kitchenettes and dining rooms for preparing home-cooked meals. The decor is minimalist and modern, allowing guests to relax and refresh themselves in style. Air conditioning keeps the rooms cool while WiFi makes it possible for guests to keep in touch. Private balconies offer views of the pool or marina. Puerto Vallarta is known the world over for its beaches and restaurants. People come here to dance the night away and enjoy endless natural beauty where the sun is virtually always shining. Whether you are hoping to spot whales on their annual migration, shop for treasures in the local marketplace or just soak in the sun at the beach, the Raintree Villa Vera Puerto Vallarta makes the ideal home base. The sparkling swimming pool is a favorite hangout for guests of all ages while a full-service concierge desk ensures that it's always easy to make reservations or find out what's happening in the city. 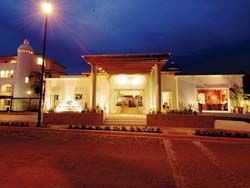 If you are interested in a lifetime of fantastic Mexican getaways, then buy Raintree Puerto Vallarta timeshare options. The location, friendly service and tasteful decor can't be beat. Contact Raintree's Villa Vera Puerto Vallarta Specialist Today!